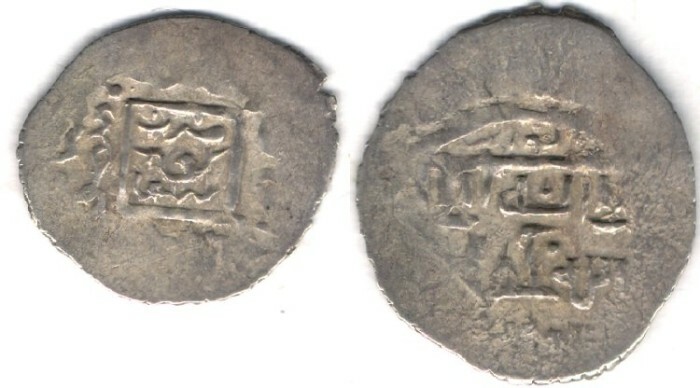 Item #3180 Muzaffarid (Iran) Shah Mansur (AH 790-795) AR 2-dinars, Kuhkiluyeh/Kuhgiluyeh mint, No Date, Album #2289.1 SCARCE type very rare mint. Obverse: The name of the ruler, Shah Mansur on the left of the square with mint name in the center. Reverse: The usual Sunni legend. NOTES: *Steve Album states that there are over 20 mints for this ruler which are not published. Iranians remember muzaffarid rulers from poems Hafez wrote about them.